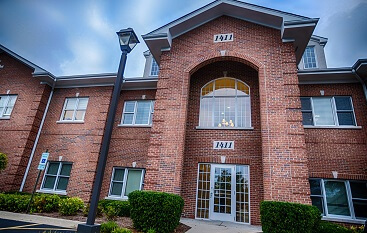 At North Shore Smile Surgery, you are offered a number of amenities that will help us make your oral surgery experience satisfactory. 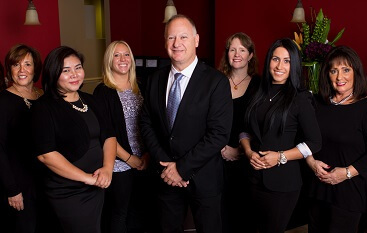 With decades of experience, you’ll be comfortable from the moment that you walk in the door of our north Chicago office. 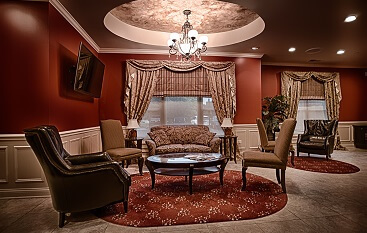 When you first step foot into our office, you’ll notice just how different it is from the stereotypical dentist’s office. Our waiting room is set to a pleasing temperature and the furniture is comfortable enough to be in your own living room. Also, once you leave the waiting room, our dental exam chairs are comfortable enough to sleep in! You even have the choice of having a pillow while you are in the exam chair! Dr. Frank wants you to be comfortable at North Shore Smile Surgery! When you are choosing an oral surgeon, keep in mind that Dr. Frank is an expert in administering the proper amount of anesthesia during your surgery. He has received the proper certifications to offer all levels of sedation so you can experience your oral surgery painlessly. When it comes time for your first appointment, you can expect a few things to happen that will benefit your oral health and help our staff going forward. First, before you come in for your appointment, make sure you fill out our new patient forms to make your first visit to our office more smooth. We also offer a wide array of payment options to ensure complete patient satisfaction. Second, you will be subject to an exam that will give our staff an idea of what you need to improve your oral health. Third, our staff will provide you with smile imaging that will show what your teeth will look like after an oral procedure such as dental implant placement or ReVita Smile®. Last, you will have X-rays taken of your teeth. These X-rays will be done using our state-of-the-art digital X-ray machine that makes your experience having images taken much easier. You’ll be satisfied after choosing North Shore Smile Surgery as your oral surgery specialists, and we’ll be happy to welcome you into our dental family. When visiting any doctor, why should you be subject to the process of filling out never-ending forms in the office? That’s why we’ve made available online new patient forms for you – just click below to fill out the needed paperwork in the comfort of your own home! To learn more about becoming a new patient at North Shore Smile Surgery, call us at 847-613-4933 or fill out our online form. We can’t wait to see you, Buffalo Grove!